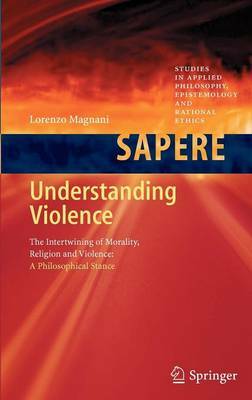 This volume sets out to give a philosophical "applied" account of violence, engaged with both empirical and theoretical debates in other disciplines such as cognitive science, sociology, psychiatry, anthropology, political theory, evolutionary biology, and theology. The book's primary thesis is that violence is inescapably intertwined with morality and typically enacted for "moral" reasons. To show this, the book compellingly demonstrates how morality operates to trigger and justify violence and how people, in their violent behaviors, can engage and disengage with discrete moralities. The author's fundamental account of language, and in particular its normative aspects, is particularly insightful as regards extending the range of what is to be understood as violence beyond the domain of physical harm. By employing concepts such as "coalition enforcement", "moral bubbles", "cognitive niches", "overmoralization", "military intelligence" and so on, the book aims to spell out how perpetrators and victims of violence systematically disagree about the very nature of violence. The author's original claim is that disagreement can be understood naturalistically, described by an account of morality informed by evolutionary perspectives as well. This book might help us come to terms with the fact that we are intrinsically "violent beings". To acknowledge this condition, and our stupefying capacity to inflict harm, is a responsibility we must face up to: such understanding could ultimately be of help in order to achieve a safer ownership of our destinies, by individuating and reinforcing those cognitive firewalls that would prevent violence from always escalating and overflowing.